High pressure, continuous coil heat exchangers for use with liquid medias. Ultra Coil tube heat exchangers have a coiled tube inside a media shell. The product flows through the tube, usually at high velocities. This versatile design is best-suited for thin and viscous products, with or without particulates where high pressure capabilities may be required. APS Ultra Coil heat exchangers are high pressure, continuous coil heat exchangers for use with liquid medias. They offer single flow path, high pressure and/or high velocity processing where the product experiences mixing through the continuous turning of the coil, experiencing the Dean effect. This mixing of the product offers more uniform temperature presentation to the media, higher heat transfer rates, and the effect of reduced fouling due to the velocity. 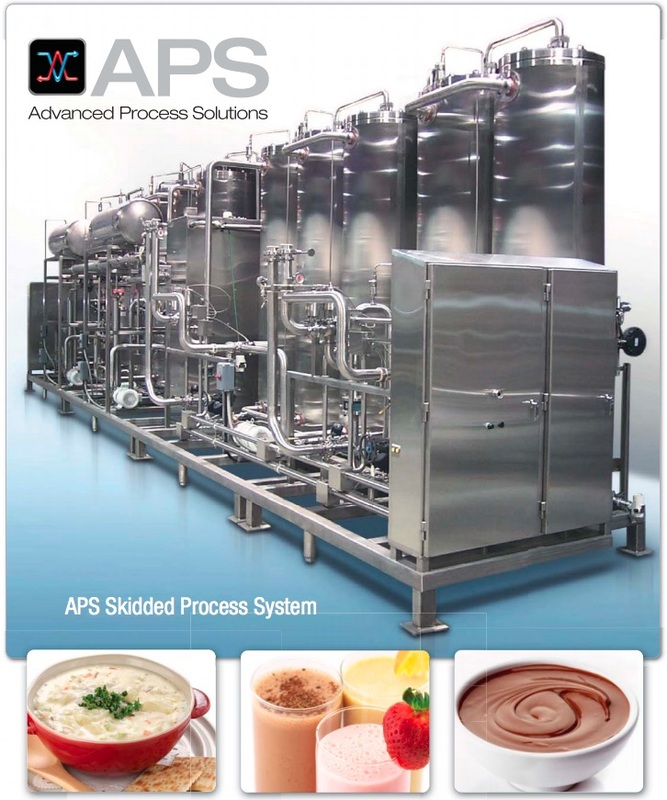 Ideal applications range from low acid aseptic dairy, sauces, soups, particulates, concentrates, phase changing products such as starch containing puddings or BBQ sauce, nutritional drinks, aseptic fruit for yogurt, fruit or vegetable purees, aseptic cheese sauce to add-back cheese melting. Advantages include high surface area in a compact package, series flow path, high velocity, high pressure capable, particulate friendly, and highly efficient across a large variety of dissimilar products. USDA approved. ASME or CE ratings.